Welcome to our Batman: The Brave and The Bold fan forum! In this forum, you can discuss ANYTHING related to the show, create fanworks, and just have fun! A little bit about me... I'm Rianna Lauren or Riri for short. I'm an ordinary teenage schoolgirl, and I'm a huge fan of DC Comics. I'm a member at http://titans.7forum.net, a fanbase forum dedicated to Teen Titans the animated series. I helped build and develop the forum (please sign up there if you happen to be a Titans fan! ). 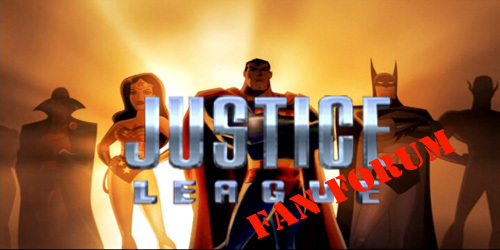 I also built a Justice League Fan Forum at http://justiceleague.forumotion.net, but it's still in early development. (Join that one too, if you happen to love Justice League. Yesh, I know. I'm a DC Freak. XP). Before posting, don't forget to read the rules and introduce yourself around this newbie area. You may create a new topic to introduce yourself or just post here if you want. If you have any questions, comments, suggestions and complaints, don't hesitate to PM me. Lol nice Pic Rain XD!! well you could always go on other sites like Da or Yt and say "JOIN TBATB..common ya know you wanna"
xD lol I wish THAT would be easy. But no worries, we're having a contest for that. An announcement will be up soon. Well, I figure I'll just post a introduction here rather than make a new thread. Hi, I'm Finners. After continuously questing through Google, I was finally able to find a board dedicated to Batman: The Brave and the Bold. I was hesitant at first, but then I found out there was a roleplaying section. I like those. Also, I like Plastic Man. Hiya Finners! Welcome to the forums!